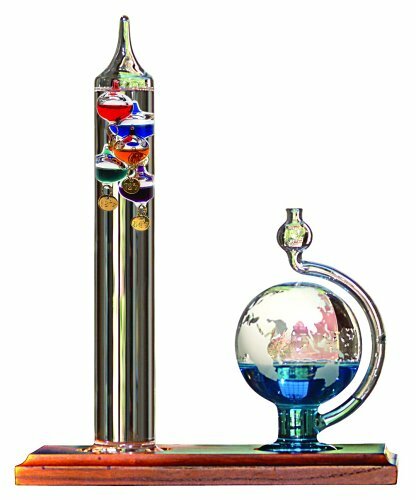 This attractive set features a Galileo thermometer, which reads 64-80 degrees F. When the temperature rises, the liquid inside the glass tube becomes less dense and the liquid-filled bulbs sink. When the temperature cools, the process is reversed and the bulbs rise from the bottom. 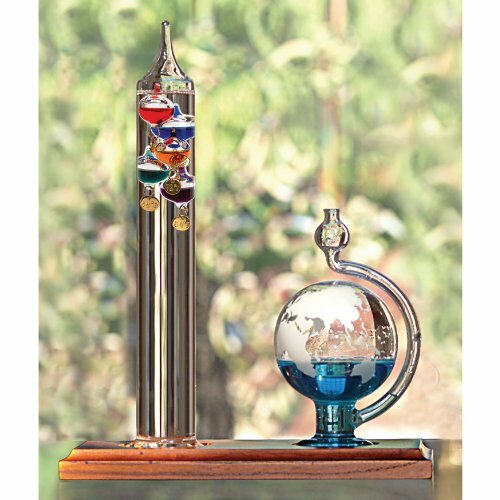 -- Variations in barometric pressure associated with weather systems are immediately revealed by the water level in the spout of the glass barometer globe printed with a frosted world map. A low level of liquid in the spout indicates high-pressure and fair weather can be expected. A high water level is associated with bad weather. -- In cases of severe weather and major storms, the water may even run out of the spout. 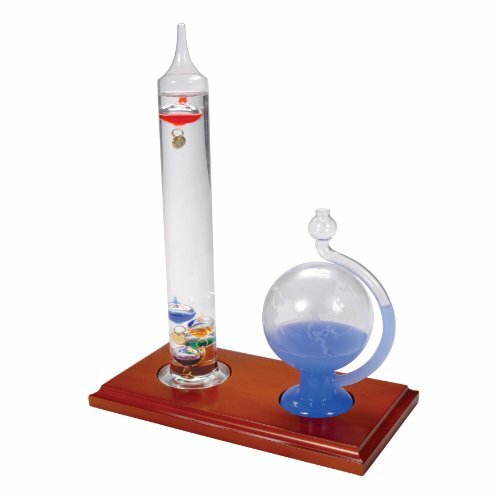 Both the thermometer and the globe are mounted on a sturdy wooden base.